Lyle A. Bakst joined Fischer & Burstein, P.C. in 1985 and has been a partner since 1990. He advocates for clients in matters involving estates, wills, trusts, guardianships, matrimonial law and personal injury. Mr. Bakst earned his J.D. from American University, Washington College of Law, in 1982 and his B.A., with honors, from the University at Albany in 1979. He is admitted to the United States Supreme Court and the United States Tax Court, and has been admitted to the United States District Courts in New York (Southern and Eastern Districts), New Jersey, Maryland and the District of Columbia. In addition to the New York Bar, Mr. Bakst has practiced before the Courts in New Jersey, Maryland and the District of Columbia. Appointed as an Administrative Law Judge of the City of New York in 1987, Mr. Bakst remained on the bench for many years. He has also taught at New York Institute of Technology, and serves as a judge for many trial and appellate competitions including New York University Downtown Invitational Classic, Empire City Invitational and at New York Law School. 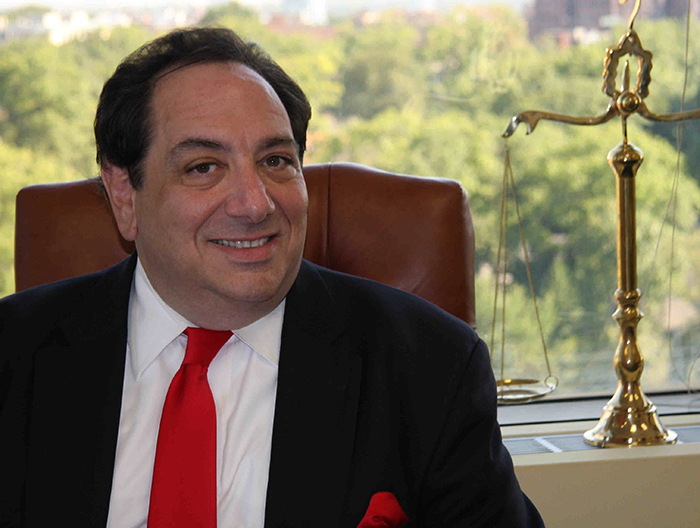 Mr. Bakst has been a member of many professional organizations, including the American Bar Association, Association of the Bar of the City of New York. the Joint Committee on Legal Referral Service of the Bar Association of the City of New York, the Queens County Bar Association and the Family Law Committee of the Queens County Bar Association. Mr. Bakst actively pursues causes which improve the lives of the less fortunate in our community, and has been recognized as "Man of the Year" by The Federation of Jewish Men's Clubs, New York Metropolitan Region and "Humanitarian of the Year" by The Five Towns Jewish Council. He continues to serve as an Executive Board member of SULAM-LI, a school for children with special needs, and as a Vice President and an Executive Board member of Temple Beth El of Cedarhurst.